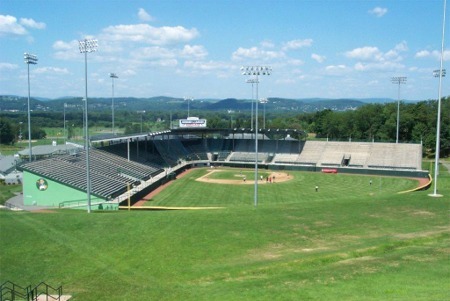 After seeing a minor league game in Oneonta, New York, it was time for us to take a step down even further on the skill level, by driving to Williamsport, Pennsylvania to see the Little League Museum and field of the annual Little League World Series (Howard J Lamade Stadium). One could argue that we would go even lower the next two games by seeing the Pirates and Mets. This was definitely worth the trip, but it was unfortunate that we got here a few weeks before the actual Little League World Series. By going through the museum, we did get to learn about the history of the tournament, which began as a 3-team Pennsylvania-only tournament in 1939, that slowly grew to first include other teams from the Northeast, then from around the country and finally to include teams from around the world. This last part is displayed beautifully within the museum with flags from all the countries that partake in Little League Baseball, which consists of players 12 and under. The Museum itself is a beautiful redbrick building that opened at the sight of the playing fields in 1982. 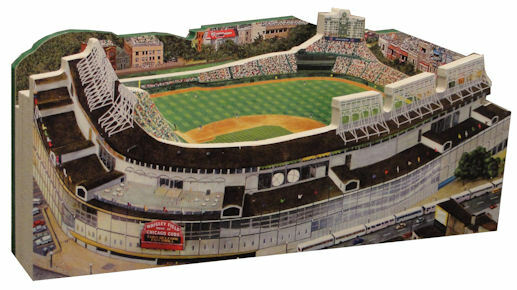 Within the lobby is a 2/3 size rendition of Lamade Stadium, which also includes a tribute to broadcasting great Vin Skully. 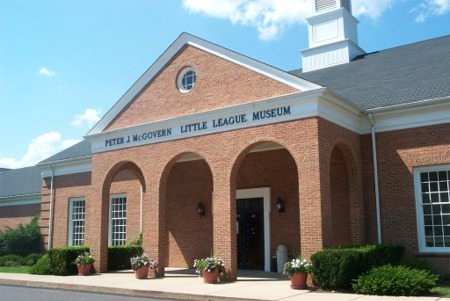 Within the Museum are several rooms and theaters dedicated to the history of the Little League World Series. There is a showcase room which displays various highlights (which changes during the year) of past World Series including some players that went on to make it to the Major Leagues, such as Lloyd McLendon and Sean Burroughs. Making it to The Hall of Excellence signifies the highest honor to little league graduates, while the World Series room is dedicated to highlights from past World Series. In addition to the tributes to past highlights, there are the Play it Safe and the Basics room dedicated to teaching the rules and safety needed for the players. It is an education aspect for parents, coaches, and players that is worth a look. Finally, there is the Play Ball room, with enables you to enjoy interactive pitching and hitting displays. Lamade Stadium is small, but beautiful and perfect for its intended use. Considering that the dimensions of the field are much smaller than the Major Leagues, it makes sense that the stadium is much smaller. 12-year olds could get lost from view in a Major League stadium. In fact, the stadium is so small that the electronic scoreboard is located beyond the stadium on a hill, which can be seen from both inside and outside of the stadium. Therefore, there are not a whole lot of seats for spectators, but the stadium is at the bottom of a hillside, where thousands of additional spectators can sit and watch the game. During the World Series, you can see how packed the grass is with spectators. When we took our walk around the field there was a pick-up game going on, so it was good see some action on the field during our visit. You also see the many side fields that are used during the World Series and other tournaments to the sides of Lamade Stadium. I wish I had the opportunity to play here. We originally intended to spend the night in Williamsport, but since we finished our tour of the museum and stadium early enough, we drove up to Pittsburgh to catch a movie and have an easy start to our day in Pittsburgh for the Pirates game and tour of PNC Park. Bottom line – This is a “must-see” stop on a stadium trip, but even more exciting to do so during the World Series. Copyright © 2001 - Ballparks of Baseball is not affiliated with Major League Baseball or with any team mentioned. No part of this page may be reproduced without permission from Ballparks of Baseball. Contact Us with any problems on this page.